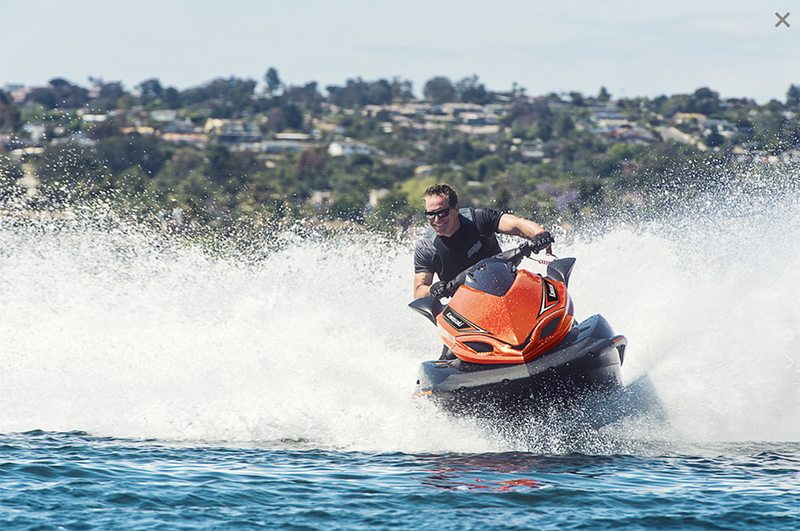 Driving a personal watercraft isn't as easy as you might imagine, our guide has some handy tips to ensure success and help keep you safe. 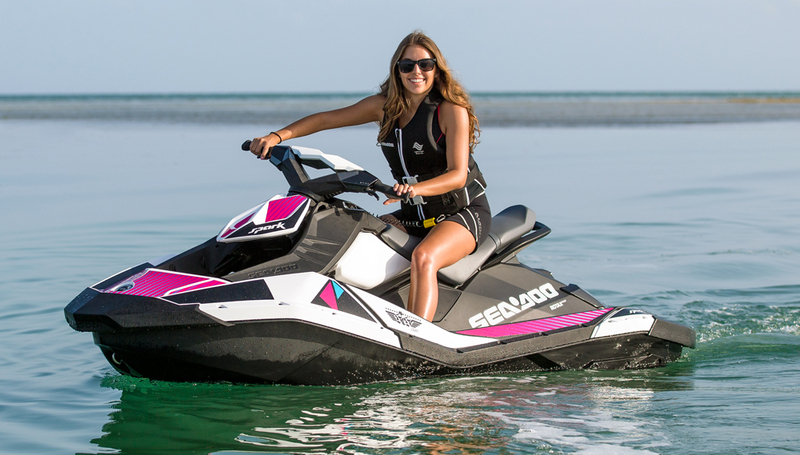 How do you drive, or ride, a personal watercraft? Well the technology has come a long way in modern PWs (see Jet Skis and personal watercraft: the guide). 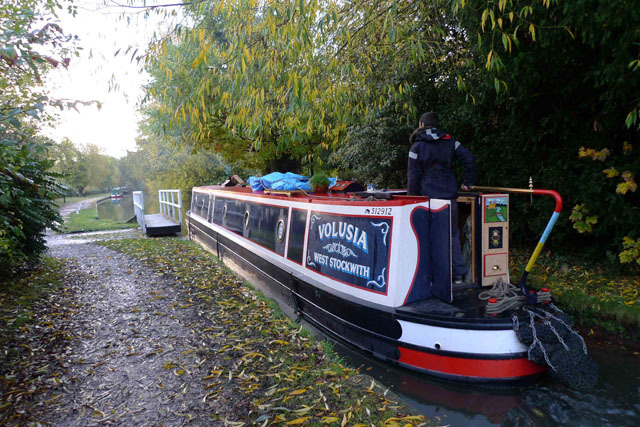 They now use four-stroke engines instead of the two stroke power plants that polluted the very environment people were out there to enjoy. They now have variable trim systems and electronic “nannies” to help new riders stay out of trouble and improved ergonomics and safety features. But they are still jet-drive watercraft and that means there is no steering if you’re not on the throttle. That’s what gets people into trouble. It’s anathema to what we learn in driver’s education classes in a car and it doesn’t apply to propeller-driven boats, either. Want to learn to drive a personal watercraft, top tip is to take it slowly. To ride one successfully means not “riding over your head,” which means at speeds that are appropriate for conditions, speeds at which you can react to the unexpected and keep things under control. For example, if you’re on a busy lake, with lots of boats and skiers and other watercraft, maybe top speed isn’t your best choice. Probably the best piece of advice is to release the throttle while going straight so you can slow down to the point where you can get back on the throttle so the craft will actually change direction when you turn the handlebars. It’s similar to the fundamentals of learning to drive fast in a car. Do all your braking in a straight line, then get back on the gas as you enter the turn. On a PW, the tighter your turn, the more you should be on the accelerator. Always be smooth with the controls. Always be smooth with the controls. Braking? Surely PWs don’t have brakes? Well, many of them do now, and it’s one of the key safety features to emerge in recent years. Essentially, it’s engaging the reverse “bucket” aft of the jet nozzle to create rearward thrust. Like steering, braking involves using the throttle. Both systems are genuinely effective in slow-speed maneuvering, such as getting away from the ramp and docking. 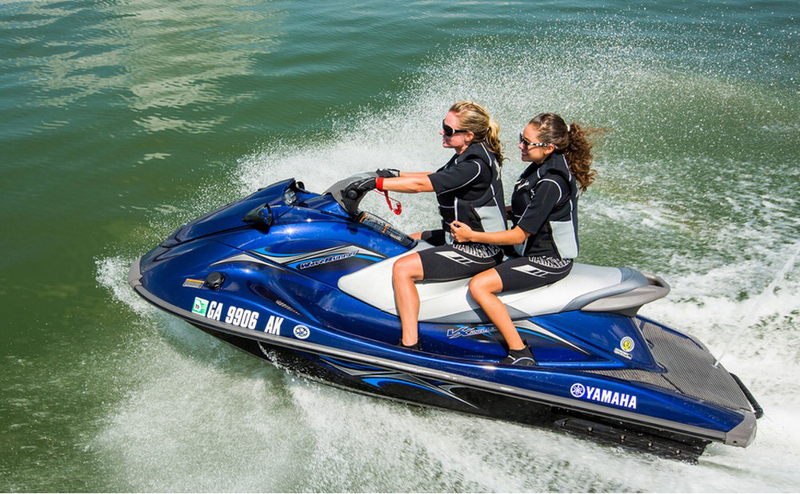 There's a lot of fun in store once you learn to drive a personal watercraft. 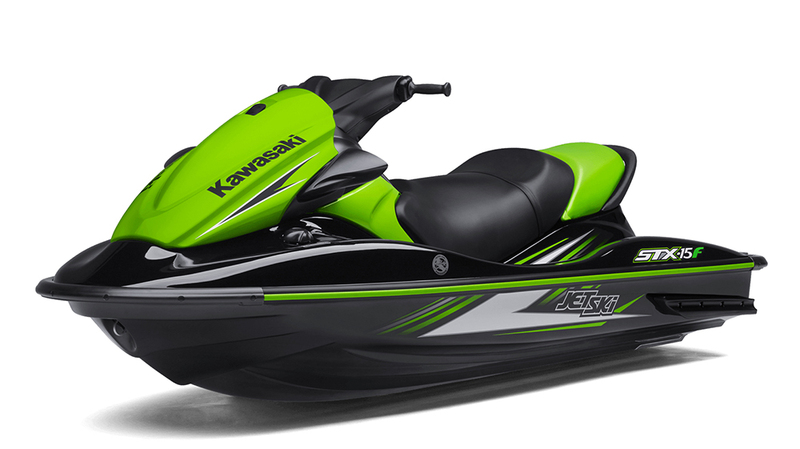 Kawasaki watercraft still use a console-mounted reverse lever, but the company offers a couple of neat features to help new riders stay out of trouble. Kawasaki Smart Steering uses an onboard microprocessor linked to a steering sensor. When the handlebars are turned fully in either direction, and the engine drops below a designated speed, the KSS microprocessor activates the throttle, raising engine rpm to provide thrust for steering. The other system is called the Smart Learning Operations mode - SLO mode, get it? 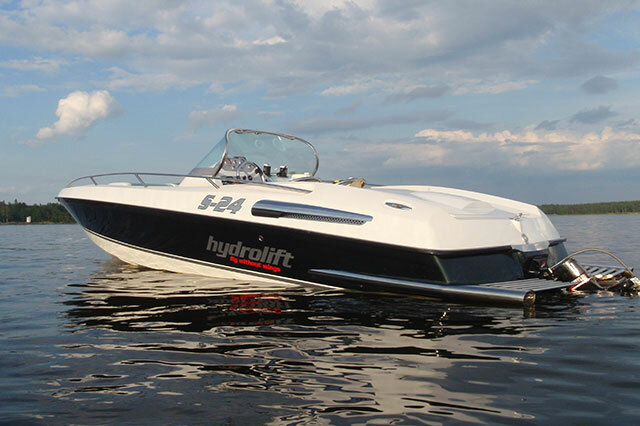 - which reduces the maximum watercraft speed by about 30 per cent. By inserting the SLO key into the slot tucked in the glove box beneath the handlebars, the engine management computer dials everything back a bit. The KSS still works in SLO mode. Kawasaki’s SLO system probably offers the best guidance for any new riders: Take it slow at first. If you can’t help yourself, Kawasaki SLO system will provide the “nanny” you need until you become more adept at handling a PW. 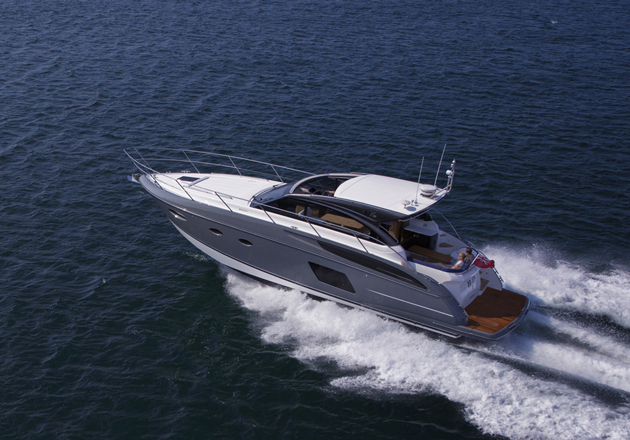 Once you get up to speed, you can begin to play with the trim setting, which offers the same benefit it does on a sterndrive or outboard-powered boat. It adjusts the angle of the jet nozzle to change the attitude of the craft. Trimming it up reduces the wetted surface of the hull to free it up for higher top speeds and better fuel economy. Remember to trim it back down before turning. 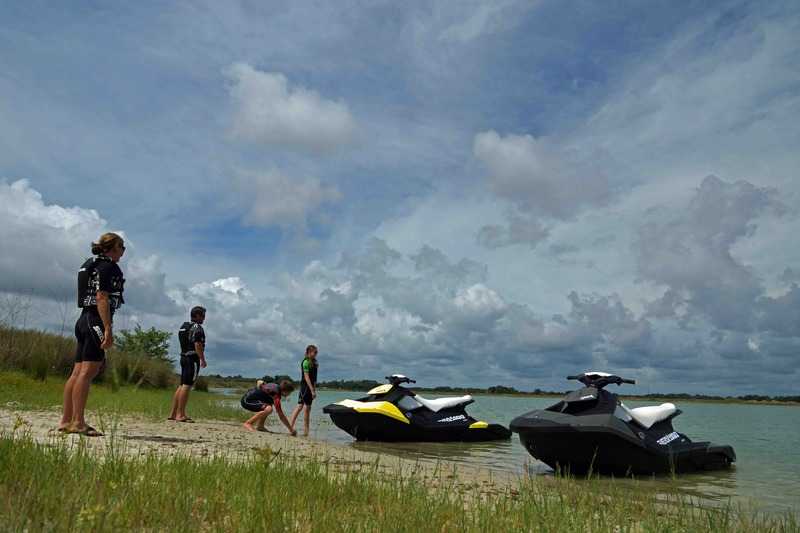 So, what’s the takeaway to learning to ride a personal watercraft? Take it slow at first. Be smooth with the controls. Get your brain accustomed to the throttle-on steering nature of the beast. Slow down in a straight line. Develop 360-degree awareness so you maintain a safe distance from other craft. Lean into turns. Don’t ride over your head. Now go - and remember to have fun. 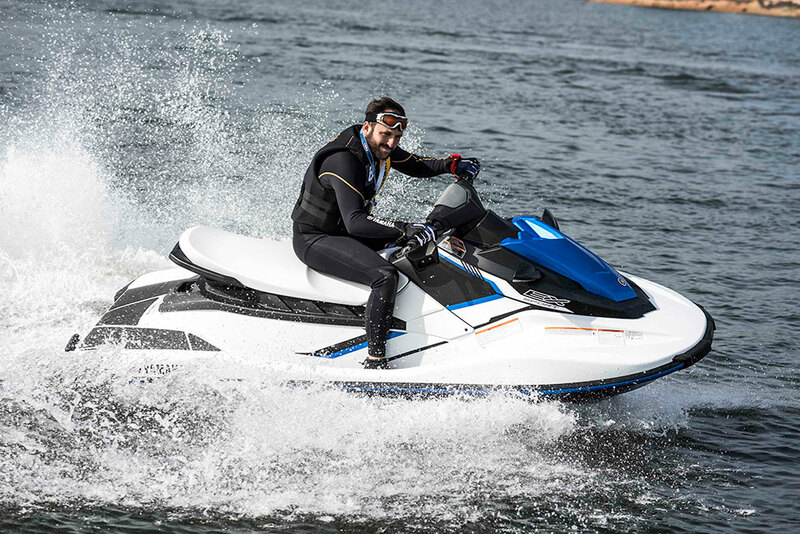 Thinking of buying a personal watercraft? 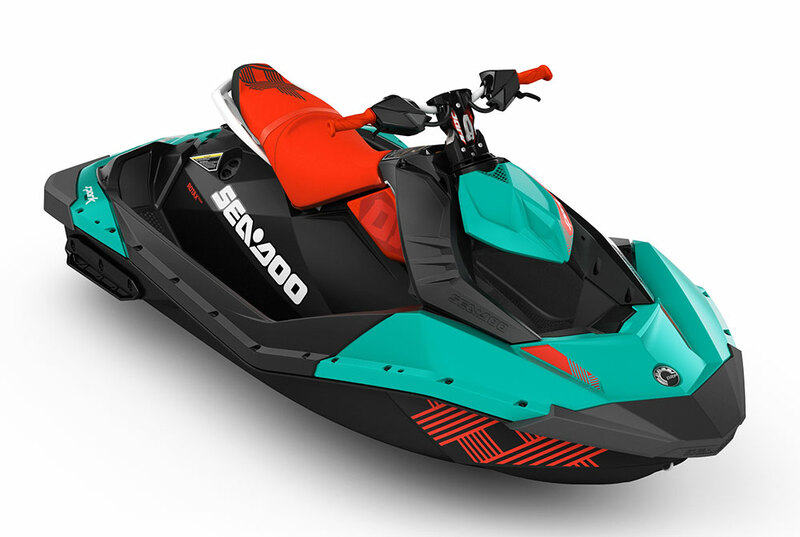 See 10 best personal watercraft. 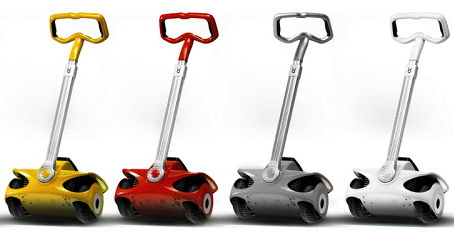 M1 Personal Transporter: winter’s must-buy gadget?